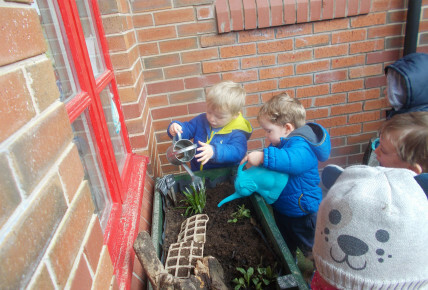 Busy Bees at St Davids - Gardening time! 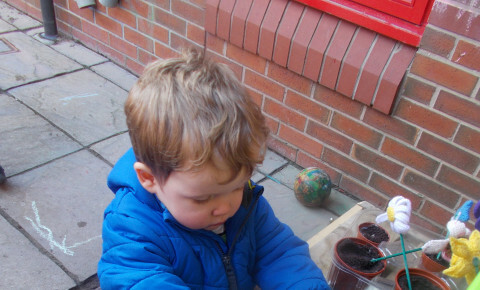 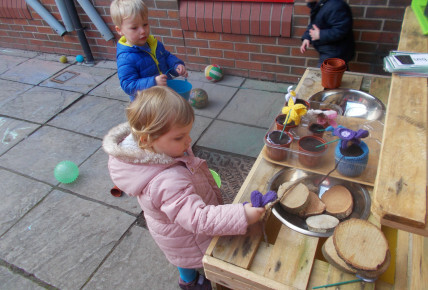 Our Moonbeams children have been planting today and playing with there new med kitchen. 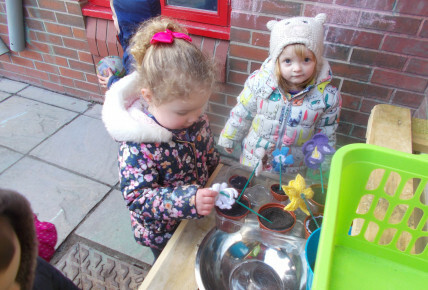 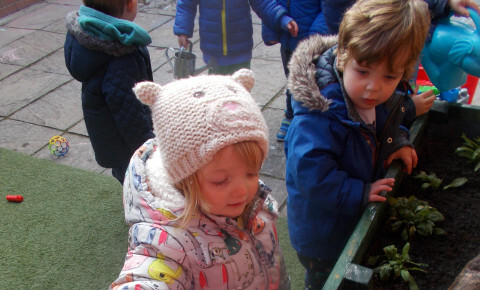 The staff have been talking about how plants grow and how the children can help by keeping them watered and fed! 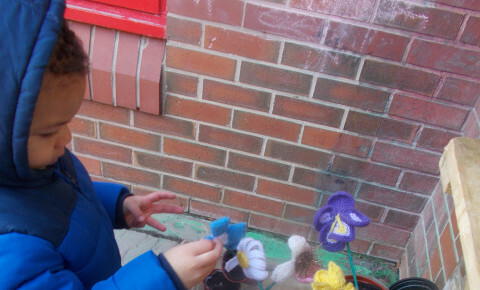 they have also loved the new mud kitchen making "cakes" and "Dinner" as well as planting the flowers on of our very talented staff members has crocheted for them!